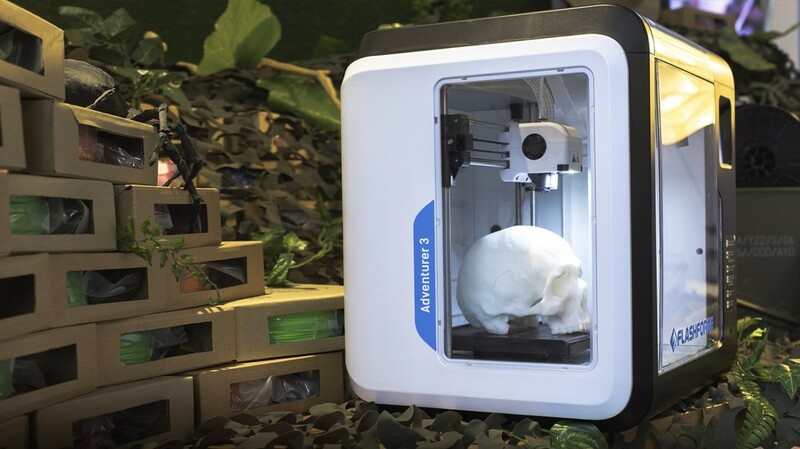 The Flashforge Adventurer 3 is a new low-cost 3D printer equipped with many features. Review the specs and features here. There are few technology-minded trade shows that stir as much excitement as the Las Vegas-based CES, the ultimate event for electronics manufacturers to gather and show-off their latest innovations and products. 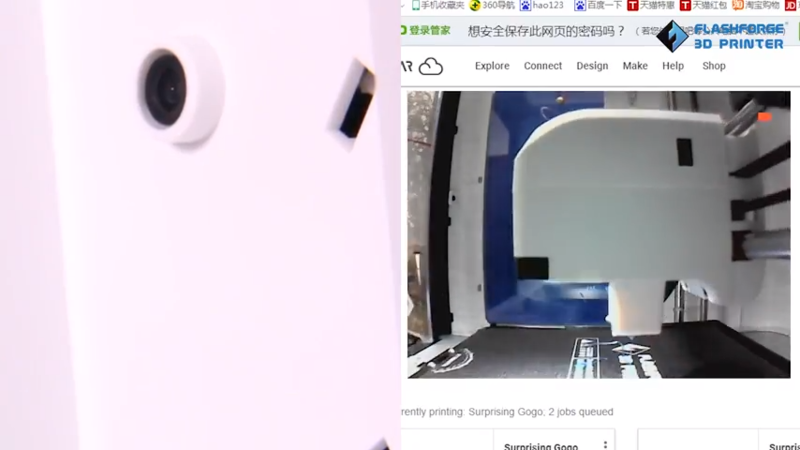 This past year, the Chinese 3D printer manufacturer Flashforge quietly revealed a total of five new machines at CES, one of which was an interesting little 3D printer called the Flashforge Adventurer 3. 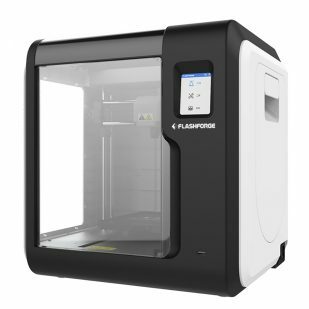 Aimed at beginners and the educational setting, the Flashforge Adventurer 3 is a fully enclosed desktop 3D printer that presents an easy and affordable introduction to 3D printing. 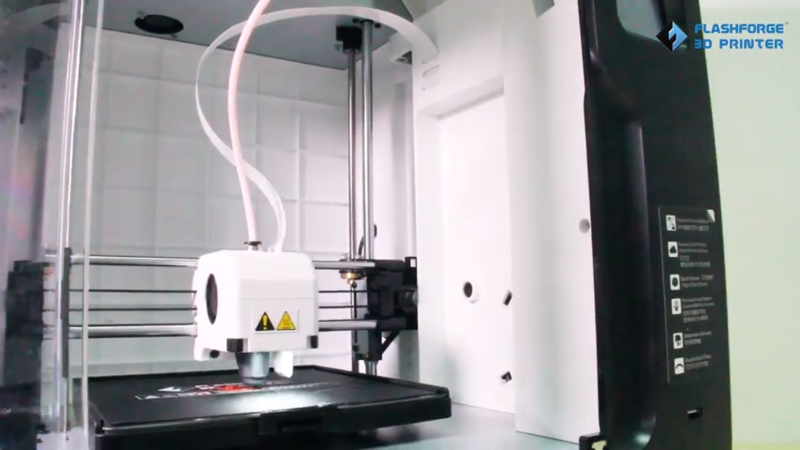 Most of the features appear to key in on usability and functionality, such as the automatic filament feeding system, removable print bed, and built-in camera. Listed at just $399 on the manufacturer’s website, the Flashforge Adventurer 3 boasts some pretty impressive features at a surprisingly low price. 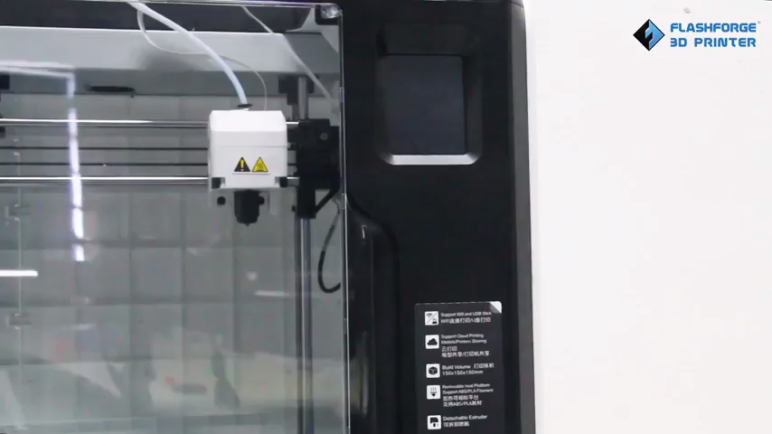 Let’s take a closer look at the features and specs of this 3D printer. Presented as a “smart” and “light” 3D printer, this machine is equipped with a newly upgraded nozzle that enables stable filament loading. Flashforge claims that the nozzle can reach up to 200°C in just 50 seconds. The extruder system also contains a turbofan and air guide to improve overall print quality. Another interesting aspect of the extruder design is the buckle release, allowing users to easily remove the nozzle without having to dismantle the entire assembly. The Flashforge Adventurer 3 also features what the manufacturer is calling a “no leveling” mechanism, which essentially seems like a strange term for auto-leveling. It has a 150 x 150 x 150mm build volume and can print in a resolution of 100 microns. The removable heated bed is made with so-called “shape-memory material”, making it bendable so that prints can be easily detached. According to Flashforge, this print bed design was put under 400 hours of bending tests, and the bed still remain leveled and unaffected. The Flashforge Adventurer 3 has a built-in filament cartridge that will detect and automatically feed the material into the printer. At 45dB, this Flashforge 3D printer is also extremely quiet during operation. Another feature that is a bit surprising considering the low price point is the built-in 2 million pixel HD camera. This allows users to monitor their prints remotely in real-time through FlashCloud, which is the manufacturer’s cloud-based 3D printer management software. The 3D Cloud platform enhances the functionality of the Flashforge Adventurer 3, offering free file storage, the ability to backup and share files, interact with other users, automatically slice print files, and gain access to a free model database. Those who have multiple Flashforge machines can manage all of them on this one platform. While we’ve yet to test out the FlashForge Adventurer 3, we did conduct some research into what other customers have had to say. Most of the reception to the 3D printer seems positive, but there was some talk about a few drawbacks that are worth mentioning. For example, one reviewer from the online retailer 3D Printer Superstore described the Flashforge Adventurer 3 as an “excellent” but “very limiting” 3D printer. One issue the user raises with the printer is the undersized spool holder, which is unable to hold most standard filament spools. This means an external filament holder might be necessary when printing with third-party materials. From what we can infer, the Flashforge Adventurer 3 is an easy-to-use 3D printer that has some convenient features. However, judging from customer feedback, this machine also seems quite limited when it comes to using third-party or specialty materials. You can purchase the Flashforge Adventurer 3 3D printer from the online retailers listed below. It’s also available directly from the manufacturer’s website. 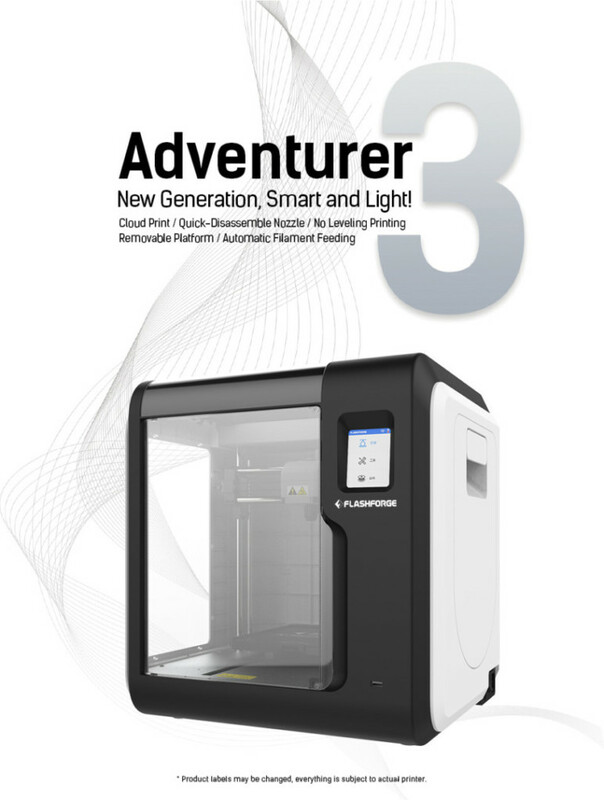 License: The text of "2019 Flashforge Adventurer 3 – Review the Specs" by All3DP is licensed under a Creative Commons Attribution 4.0 International License.